I regularly listen to Russel Robert’s EconTalk podcasts. This week’s podcast with Michael Munger from Duke University is particularly interesting, and possibly my favorite, along with the Milton Friedman interview. Professor Munger had just returned from Santiago, Chile with some great insight into their transportation system. 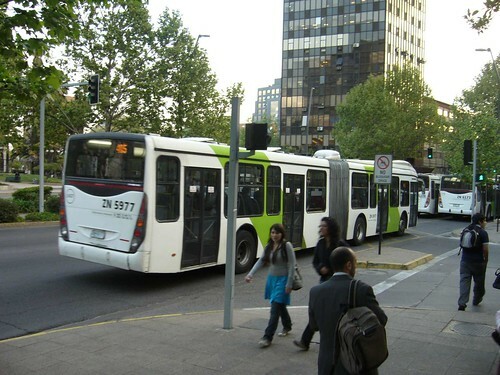 Up until a few years ago, Santiago had a completely private systems of transit and buses. He claimed that there were 3,000 different private companies operating transportation. The unsubsidized system worked very well and was profitable, until the city took over the transportation industry and forbade private companies from providing any transportation services. At the time the City took over, the planners thought they could improve the system by directing people to the subway system. It didn’t work, and now it’s a mess. I highly recommend taking an hour during your next commute to listen to the podcast. Michael Munger of Duke University talks with EconTalk host Russ Roberts about Munger’s recent trip to Chile and the changes Chile has made to Santiago’s bus system. What was once a private decentralized system with differing levels of quality and price has been transformed into a system of uniform quality designed from the top down. How has the new system fared? Not particularly well according to Munger. 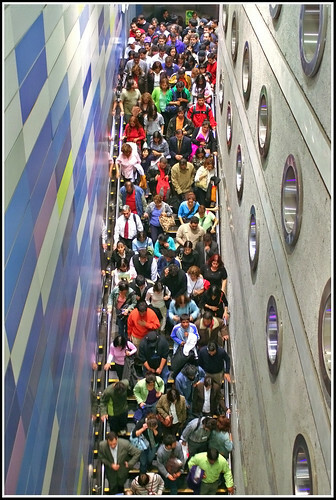 Commuting times are up and the President of Chile has apologized to the Chilean people for the failures of the new system. Munger talks about why such changes take place and why they persist even when they seem inferior to the original system that was replaced.